The second round robin that I am in right now is a "Mini DYB" (do your block). Our blocks were to be a maximum of 3 1/2" square or equivalent amount of square inches in another shape. Connie K chose to do small rounds, which will get folded in half and used to complete a bunting for her Christmas tree! Working on something tiny does make one rethink how to maximize impact and Connie asked for a central motif on each half. I found that I wanted the seams to be the same on each side of the motif rather than changing things up. 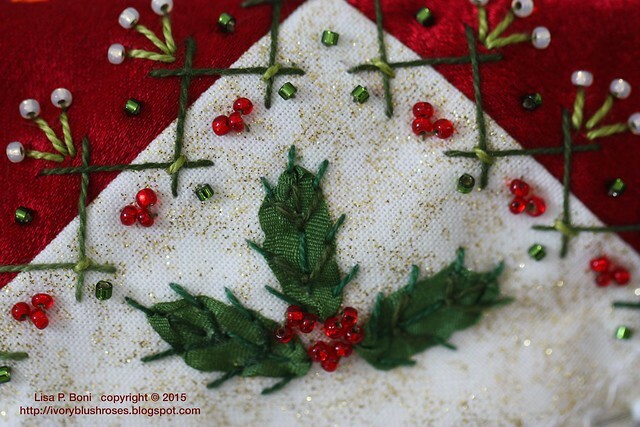 The holly leaves were created using 7mm silk ribbon and adding stitches over the top. 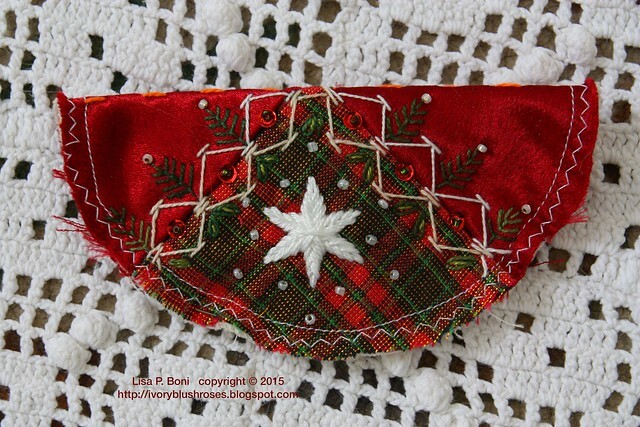 The other side has a Star Stitch star and a little seam of pine trees. I had never done this stitch before and must say that I will do many more to come! Just love the way it turned out! Can't wait to see what everyone else does with their blocks! 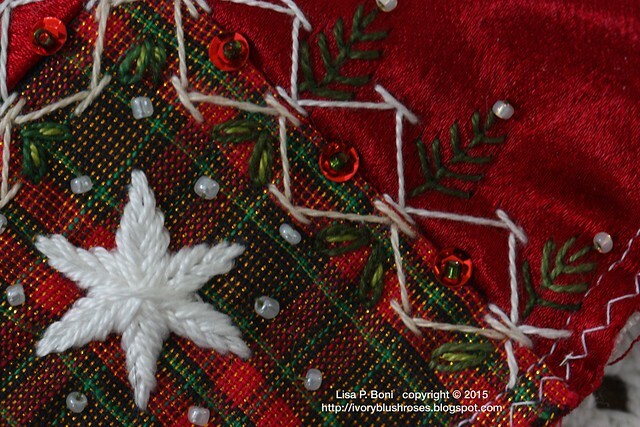 I also finished the last seam of the week for the Joyful Embellishments group. This feather stitch variation is known as Maidenhair. 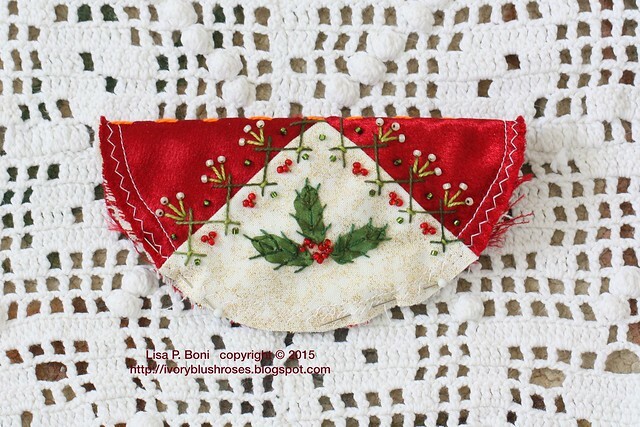 It's another stitch that is new to me, but I can see many creative potentials for it! This week also saw a little bit of stash enhancement! 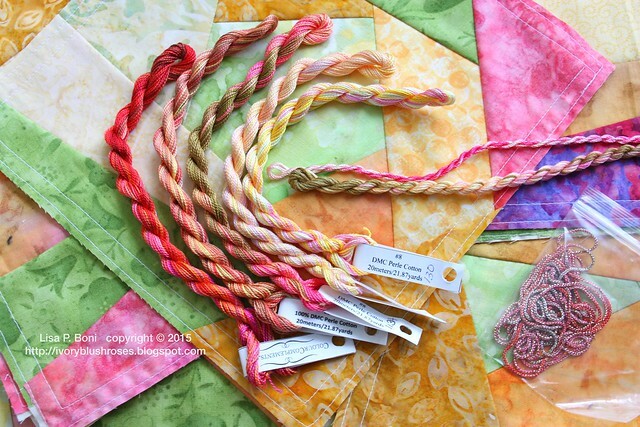 I was lacking a good variety of threads for my CQJP 2015 blocks, so when I saw these luscious beauties at Color Complements, I had to get some of them! 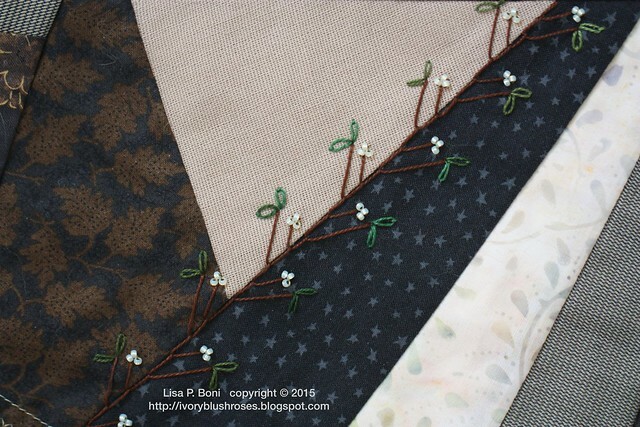 They are going to go perfectly and I'm motivated to get stitching on the January block again! I wondered what Connie K was doing with her mini blocks. I love your stitching on them. 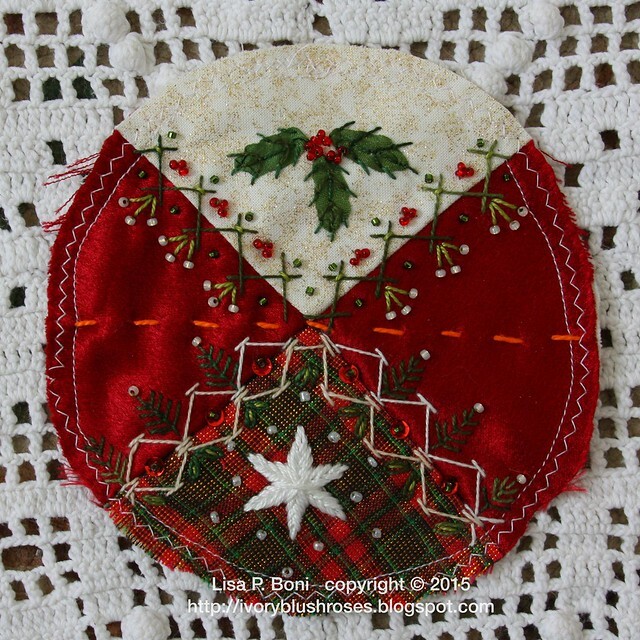 I posted the block I finished for you on my blog. Hope you like it. Those threads are perfect for your CQJP! It is only January and I am already stuck on mine. I thought I knew what I wanted in the centers but it isn't working out right. Never give up - right?